Trusts and Estate Planning can be a confusing topic, yet the benefits of properly preparing your estate can be significant. Whilst we do not offer advisory services on this website, we believe that it is important that consumers are clued up when it comes to conducting their financial affairs. 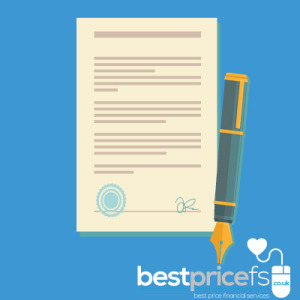 The rules around trusts are complicated, so you may wish to take advice from an Independent Financial Adviser (IFA). However, the information detailed here should give you a strong platform from which to start. Estate planning refers to the process taken prior your death to arrange the transfer of your assets (property and possessions) to others to ensure that, on your death, their management is carried out in accordance with your wishes. Careful planning can provide an effective means of minimising the amount of taxes due on your estate after your passing, meaning a greater portion of it will go directly to your beneficiaries. Creating a trust whilst planning your estate is a way of ensuring that your assets will go to the right people. A trust offers a flexibility when passing on these benefits which is not available through the giving of assets as outright ‘gifts’. Having assets placed in trust affords the settlor, the person who created the trust, a level of control over their assets after death. This could allow them to be passed in a more complex way than simply directly to a named beneficiary, and can also help the settlor prevent a large proportion of these assets being taken as Inheritance Tax. Depending on the size of your estate, upon your death, your estate may be liable to Inheritance Tax (IHT). In the UK, the threshold for Inheritance tax is currently £325,000 per person. This means that if your assets are above £325,000, you will pay approximately 40% tax on everything above this threshold. There are, however, ways to minimise the effects of IHT to ensure your assets go to the intended beneficiaries. Upon death, if your estate size is in excess of £325,000 including life insurance, it may be subject to IHT. If indeed you are liable, it may be prudent to write your life insurance in trust to avoid losing a large percentage of the payout to IHT. Minimising the effects of IHT can be complicated. Therefore it may be beneficial to consult an IFA to assess the suitability and oversee this process. However, much of the documentation you will need is readily available, and so it is worth noting that this can be undertaken yourself.